Chief Minister Virbhadra Singh said that the State Government would set up Cold Stores in various parts of the State so that the horticulturists and the farmers may get better remuneration for their produce. He was speaking at the closing ceremony of 15th All India Volleyball and Kabbadi Championship at Kotkhai in Shimla district, organized by Kotkhai Environment Sports and Culture Club today. Chief Minister said that the State Government was committed for welfare of farmers and horticulturists of the State. He said that despite bumper apple produce this year, the horticulturists however could not reap the profits as desired. He said that there was a need to strengthen the marketing network and adopt modern infrastructure. He said that the State Government was serious to take appropriate steps in this direction and would set up cold stores so that the produce may have longevity and fetch them better prices. Virbhadra Singh appealed to the horticulturists for better understanding of marketing strategy and trends. He said that as the horticulturists sold their produce in the markets at Delhi and other terminal markets in large quantity which resulted in surplus accumulation of apple in these markets resulting in low prices for their produce. Chief Minister said that to provide employment opportunities to the educated youth of the State, the Government had started Skill Development Allowance Scheme and a provision of Rs. 100 crore had been made in this fiscal. He said that disabled would be provided Rs. 1500 as allowance under the Scheme, besides, Rs. 1000 to the youth between 18 to 35 years for two years to undergo skill development training. He said that the Government was consulting the registered agencies of Government of India for providing training to under- matric youths for three to six months under the scheme. Chief Minister appealed to the youth to take the benefits of various welfare schemes of the Government including adopting professional courses. He said that there was vast opportunity of nursing training in the State, besides there was also vast opportunity of employment in tourism and hotel management industries. He said that Government had started various polytechnics institutions and ITIs so that professional training could be imparted to the youth so that they could carry out profession of their choice. 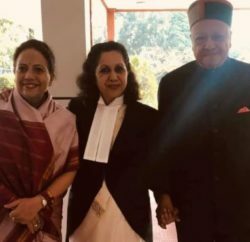 Virbhadra Singh said that besides heavy rains the Government had been successful in maintaining the roads in the apple belt especially the Theog-Hatkoti road. He said that Theog-Hatkoti-Rohru road would be completed in two phases with financial assistance of the World Bank and the project would be completed in two years. Chief Minister said that the State Government was according priority to education sector and large number of schools had been opened besides those which were de-notified by the previous BJP Government. Apart from various schools, a college had also been opened in Kotkhai and appealed to the people to give education to their children in these schools as highly qualified teachers had been placed in these institutions. The State Government had provided all basic facilities like roads, drinking water and irrigation facilities, power etc. 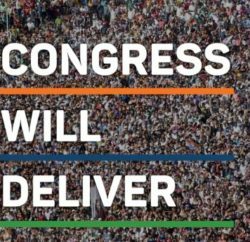 in every area of Jubbal and Kotkhai constituency. Chief Minister announced construction of spectators’ gallery and stage in Kotkhai stadium. He also directed the PWD authorities to construct rooms in the basement of the stadium. He announced to open Ayurvedic dispensary in Nagan and upgrading Tau middle school to High school. He also directed to expand area of Kotkhai bus stand for adequate parking facility and to remove high transmission power line near helipad. 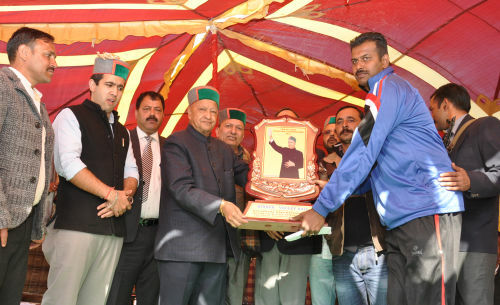 Virbhadra Singh lauded the efforts of Environment, Sports and Culture Club, Kotkhai for promoting its activities. He gave away prizes to winning teams. The Border Security Force team was adjudged first in volleyball followed by Haryana. They were given cash prize of Rs. 51,000 and 31,000 respectively. The Chief Minister gave first prize of Rs. 25,000 in Kabaddi competition to Punjab Police Team and second prize of Rs. 15,000 to Nalagarh Dabhota players. Vikramaditya Singh, Chairman, Himachal Pradesh Sports, Culture and Environment Association said that the State Government was giving priority to welfare of youth of the State and thanked the Chief Minister for gracing the occasion. 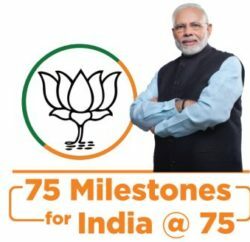 He said that the State Government was ensuring 70 percent employment to Himachali youth in various power projects and industries being set up in the State. Dinesh Malhotra, Deputy Commissioner, Abhishek Dullar, Superintendent of Police, B.K. Nayyar, Chief Engineer, PWD, Chairman, APMC Shimla and Kinnaur and President Kotkhai Sports Culture and Environment Association, Mahender Stan, Atul Sharma, Vice Chairman, HPSIDC, Kameshwar Kofta, Director, MILKFED, S. S. Jogta, Himachal Pradesh Non Gazetted Employees Confederation, senior officers and prominent persons of the area were present on the occasion.